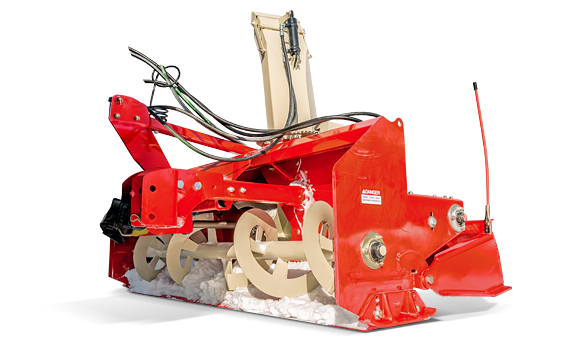 Farm King PULL TYPE Snowblowers are built to work hard for many winters to come. Designed to be durable and rugged, Farm King Pull Type Snowblowers offer excellent value in a snowblower that will stand the test of time. These heavy-duty snowblowers are available in cutting widths 74" and 84". Using proven Farm King 3-point hitch snowblower components, this pull type snowblower is designed to operate moving forward and backwards, improving the comfort and effectiveness of the operator. A rear scraper allows for better clearing closer to buildings.